Update, January 5: The president of Hi-Rez says you know what you’re getting with Paladins’ new Battlegrounds mode, but the name was inspired more by classic MMO PvP than PlayerUnknown’s Battlegrounds. 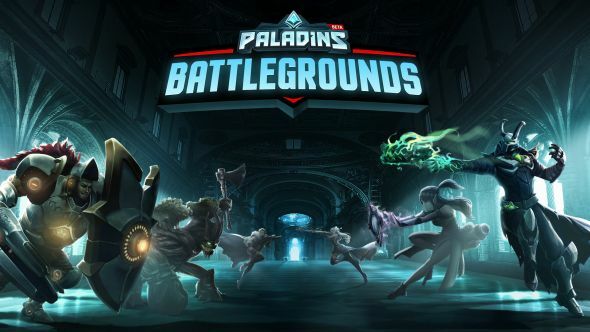 At this point, it’s no surprise when an existing game gets a battle royale mode, but Paladins raised some eyebrows yesterday when developers Hi-Rez announced that their take on the genre would be called Battlegrounds. You know, like a game from a certain unknown player. But the head of Hi-Rez says that name reflects an MMO standard more than today’s most popular battle royale. Paladins: Battlegrounds is a team-based battle royale mode coming to Paladins later this year. Hi-Rez president Stew Chisam tells PC Gamer that the studio had “a lot of conversations” about what to call the mode. “Do we call it Battle Royale, do we call it Battlegrounds, do we call it something else? We thought if we call it something completely out of the blue people might not know what it was,” says Chisam. Chisam says, of course, that there won’t be “too many doubts” about what kind of mode Battlegrounds offers for Paladins. But he says that Battlegrounds will not have a “major role” in the game’s marketing, as it’s just one mode among the game’s suite of options. Original story, January 4: The co-founder and CEO of Hi-Rez Studios says he doesn’t think “there are any pure, creative thoughts” in current game development. At a round table at this year’s Hi-Rez Expo, Erez Goren made the comment in reference to the development of Paladins Battlegrounds.